The month of October marked the beginning of the 40th anniversary jubilee year for Bethlehem University, the first university in the West Bank and only Catholic university in the Holy Land. Mass was celebrated on October 6, 2013, by Archbishop Guiseppe Lassarotto, chancellor of Bethlehem University and apostolic delegate to Jerusalem and Palestine. The event also included remarks from leaders, including Vice Chancellor Brother Peter Bray. A legacy dinner is scheduled for November 3, 2013, to be held in Washington, DC to further celebrate the anniversary. To purchase tickets and learn more about the event go to this page. Bethlehem University is planning a number of other cultural, artistic, and scientific events to celebrate throughout the months of the 40th year. This calendar includes details about the events. 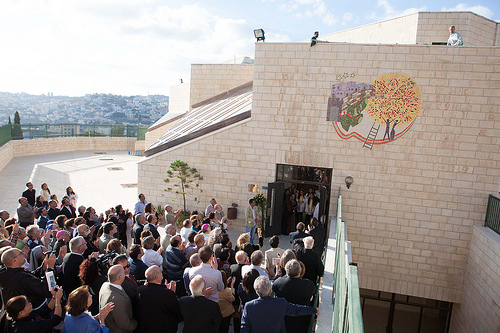 Unveiling of the Jubilee Mosaic, designed by Ms. Samar Ghattas, faculty in the Department of Humanities, and implemented by Palestinian artist Imad Dudeen with the help of five students. 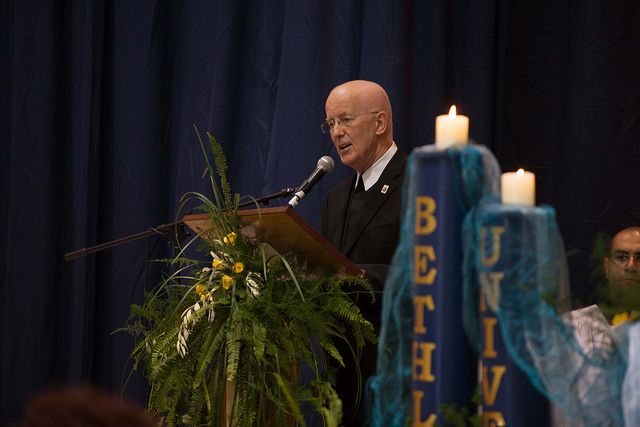 Opened on October 1, 1973, with 112 students and 17 faculty, today Bethlehem University has more than 3,000 students enrolled and more than 14,000 graduates around the world. Prior to 1973, Palestinians in the West Bank and the Gaza Strip had to seek higher education abroad.